Last weekend, I made the trek down to Main Street to try Middletown’s hottest new restaurant: Whey Station(ary). 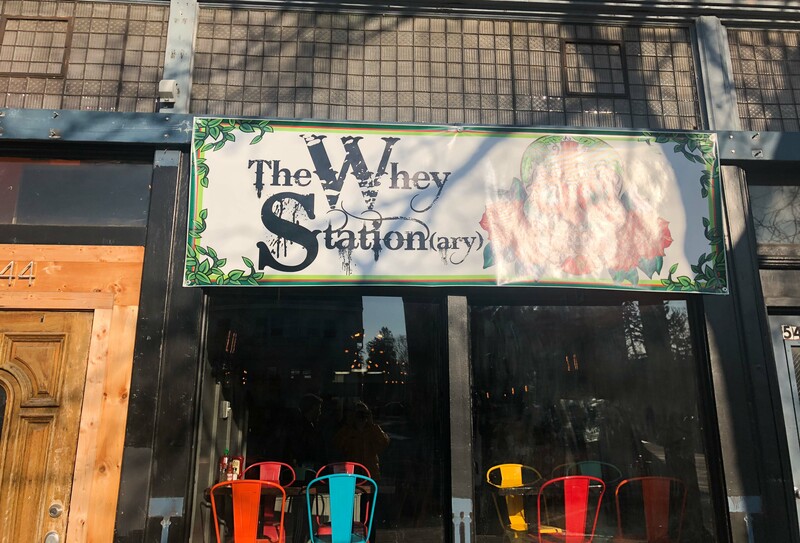 Yes, you read that right, our beloved Whey Station has opened a restaurant, and it’s just as tasty and cheesy as you would expect. When I first arrived, I talked to Jillian Moskites about her experience with Whey Station and the process of opening the restaurant. As she explained, the restaurant officially opened to the public last Wednesday but has been in the works for about three months. Transforming Keagan’s Irish Pub into Whey Station(ary) was an ambitious endeavor, to say the least. The team of Jillian and Josh Moskites as well as General Manager Rachel Knowland supervised and worked alongside a construction team to redo the floors, remove the TVs that lined the walls, recreate the kitchen, and reimagine the bar, which was falling off the wall. She already felt like the interior was industrial, so she and Josh leaned into that aesthetic while adding their own personal touches, like colorful wall decorations, bright chairs, modern chandeliers, and white mugs lining the bar space. Opening a restaurant, as Moskites says, is a lot less difficult than controlling a truck. To run an effective food truck, you have to book events, pull permits, make sure you have enough product (but not too much product! ), and deal with external forces like weather or technical glitches. A restaurant, on the other hand, allows a certain level of stability. Differences in cooking styles between a truck and restaurant drove Moskites to also hire a new kitchen manager, Ryan Clark, who had worked previously for Nora’s Cupcakes and pizzerias in the area. Together they’ve conceptualized a bunch of new, exciting menu options like a fire cider vinaigrette and butterscotch pudding. The menu itself has grown and evolved, but it still incorporates all of the Wesleyan favorites. 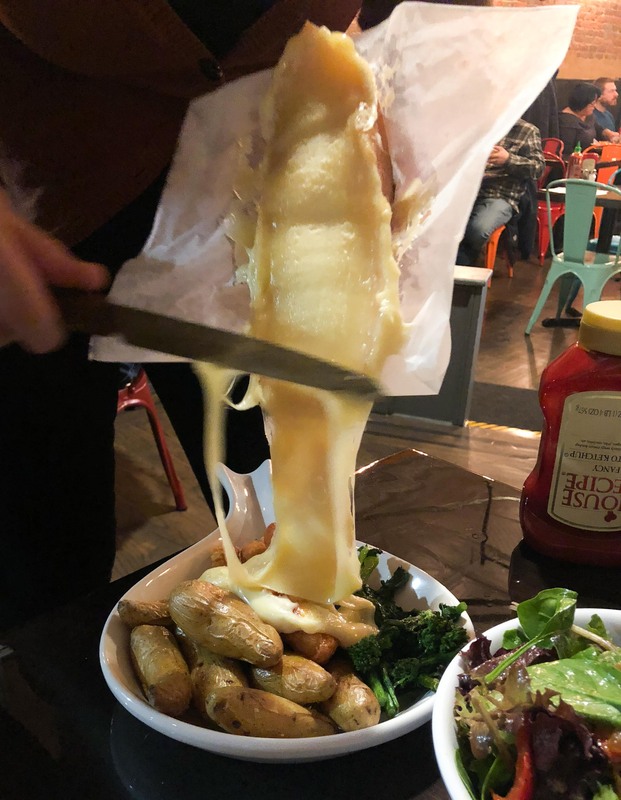 I tried an assortment of options, including the AvoMelt, tater tots, the Big Sal(ad), and a French raclette, which is a new dish where melted cheese is scraped over a variety of different foods, like potatoes, tots, or even broccoli rabe. There are also other new additions like short rib entrees, patty melts, and lots of vegetarian options as well, like veggie mac and cheese and different types of French raclette over vegetables. 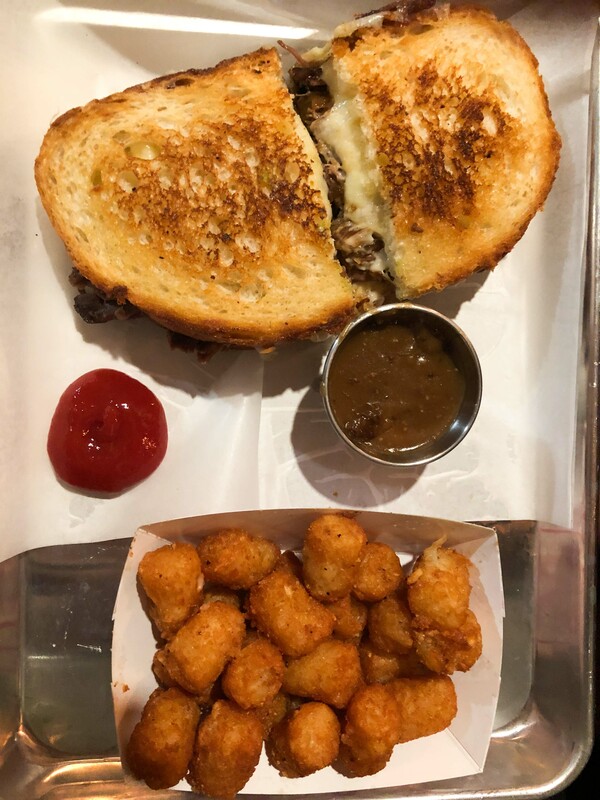 Even though Whey Station has moved on to the restaurant life, Moskites promises that the truck will still grace the University’s campus on weekend nights.